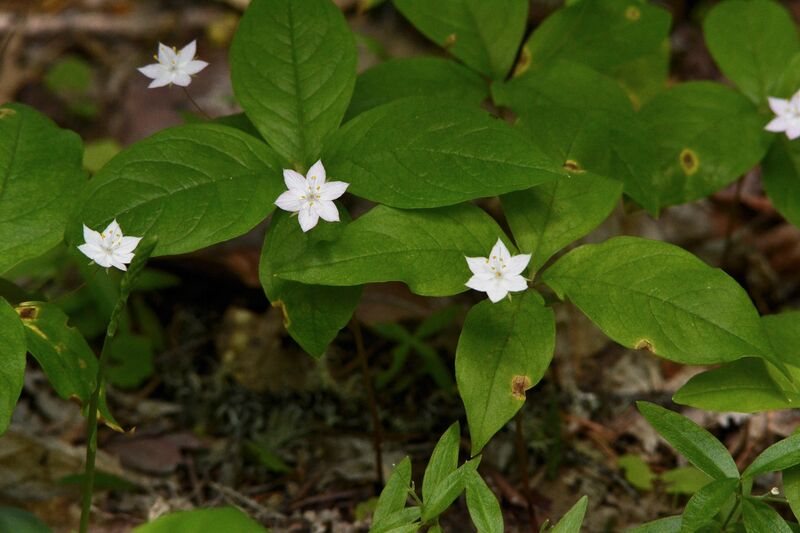 Trientalis latifolia is a delicate, little plant with a large list of common names – starflower, broad-leaved starflower, western starflower, Pacific Starflower, and Indian potato, to name a few. I know it as broad-leaved starflower. Broad-leaved starflowers are also classified under the scientific names T. borealis and T. europaea. Only growing four to eight inches high, broad-leaved starflowers are native perennials limited to the most western portion of North America (Pacific states, British Columbia, western Yukon territory, Alberta and Idaho). Their preferred habitat is open forests and thickets from low to mid elevations. Starflowers can often be found growing as clumps or ground cover at the base of redwoods, ponderosas or other evergreens. This member of the primrose family has 3 to 6 ovate to elliptical leaves in a terminal whorl. All the other leaves on the stem are reduced to bracts. The white or light pink flowers usually have six or seven petals which are fused at the base. One or occasionally several of the flowers occur on thin, curved stalks (petioles) originating from the center of the leaf whorl. The name starflower comes from the fact that the flowers on their very fine stalks appear to hang in the air over the plant like stars. Whatever! Broad-leaved starflowers usually reproduce asexually from their slender rhizomes that have enlarged tubers at the nodes, but they also, less importantly, reproduce from seeds. Native Americans collected and ate the tubers. Broad-leaved starflowers are such pretty little plants I have never wanted to dig them up to taste the tubers. Maybe some day I will taste one. The genus name Trientalis means “one-third of a foot” and refers to the size of the plant. Latifolia, the species name, means “broad leaved”. These broad-leaved starflowers were photographed on the Rogue River in Oregon below the Lost Creek Reservoir and along the McCloud River Trail in California. 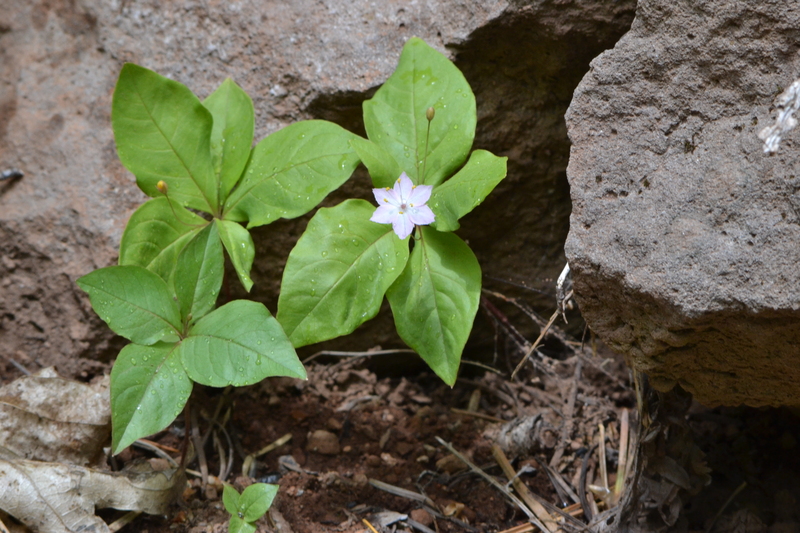 This entry was posted in Wildflowers and tagged broad-leaved starflower, Indian potato, photography, starflower, Trientalis latifolia. Bookmark the permalink.